One of the true last wilderness outposts to explore and among Australia’s top 4WD experiences; The Gibb River Road is a piece of stock land heritage and legendary outback landscape that brings an unforgettable driving experience to anyone willing to take up the challenge. 660km in length, the road was originally built as a route for droving cattle through the region from Wyndham to Derby. 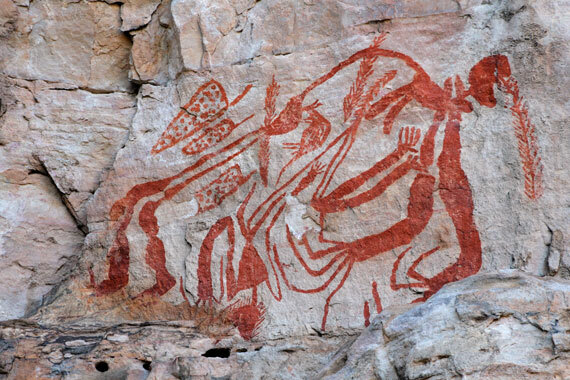 Now it serves as a popular access to the surrounding Kimberley gorges, authentic outback cattle stations and captivating Aboriginal cultural sites that stretch back in time to tell the history of this ancient land. Vehicle Hire & Costs: For best access, visitors should consider starting their journey in Broome where you can rent a vehicle from $127 per day (subject to availability). A 4WD is necessary for this journey as the majority of the driving is on unsealed roads. 4WD vehicles come fully equipped with camping equipment and facilities necessary to make your adventure complete. 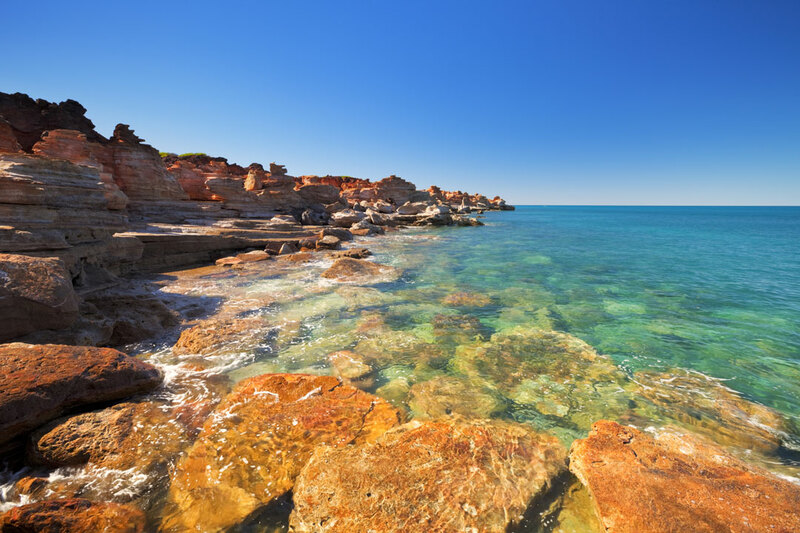 Starting your trip in Broome is the best idea when considering the Gibb River Road Trail as it is easily accessed from most major cities in Australia. Broome has adequate equipment, vehicle hire and a myriad of fantastic activities and sights to explore, including the famous cable beach. From Broome, your first stop is Derby; an easy 2 hour drive along sealed road that will lead you into the beginning of the true wilderness experience. Derby is known for many different unique sights and activities which include museums and galleries that depict colonial life and the interesting crossover of modern life and its effect on the more rural parts of the country. The must see sight of this area is the world’s only Horizontal Waterfalls which form off a catchment near the coast in the Kimberley region. This fascinating natural phenomenon is available to view all year round and guided tours to view them at a distance or up close are available from Derby. Windjana National Park is your next stop and it is important to stock up on fuel, food and water for this step of the journey. The stretch of road from Derby is all 4WD and remains so up until Kununurra. 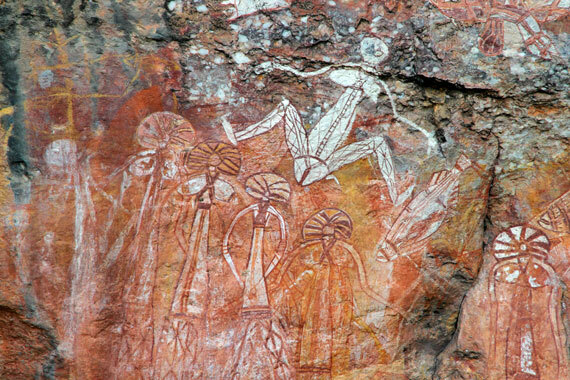 Windjana Gorge National Park is the key feature in this area and is located within the Napier Ranges. Walking trails grant access to the gorge where its sheer walls and abundant pools that support a whole range of diverse wildlife hold clues to the existence of an ancient reef system and fossilized life forms that inhabited the area more than 350 million years ago. 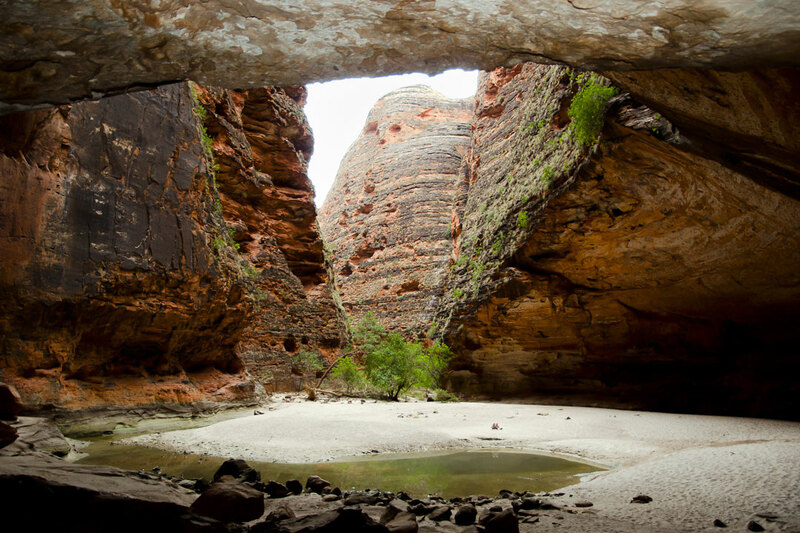 Visitors can follow the road south to the neighboring Tunnel Creek National Park which boasts Western Australia’s oldest cave system. 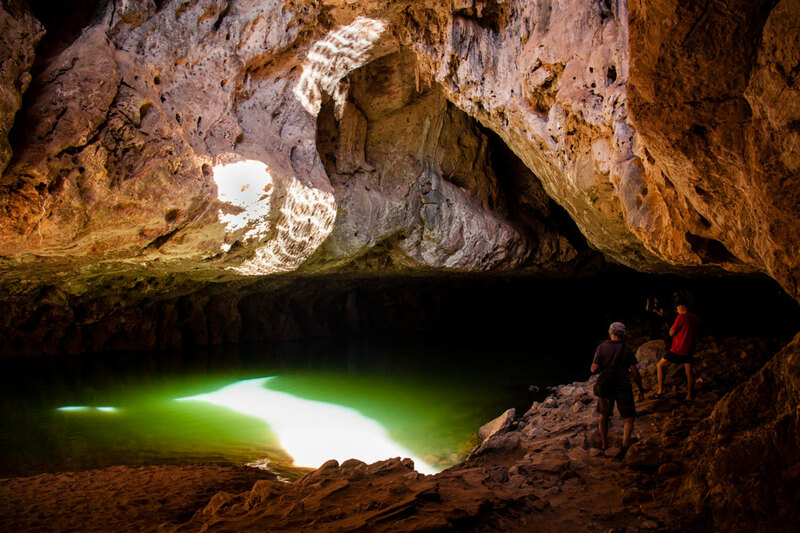 Get up and close with bats and fresh water crocodiles as you navigate the 750 metre long tunnel before emerging on the other side to some of the most pristine natural fresh water pools you have ever seen. 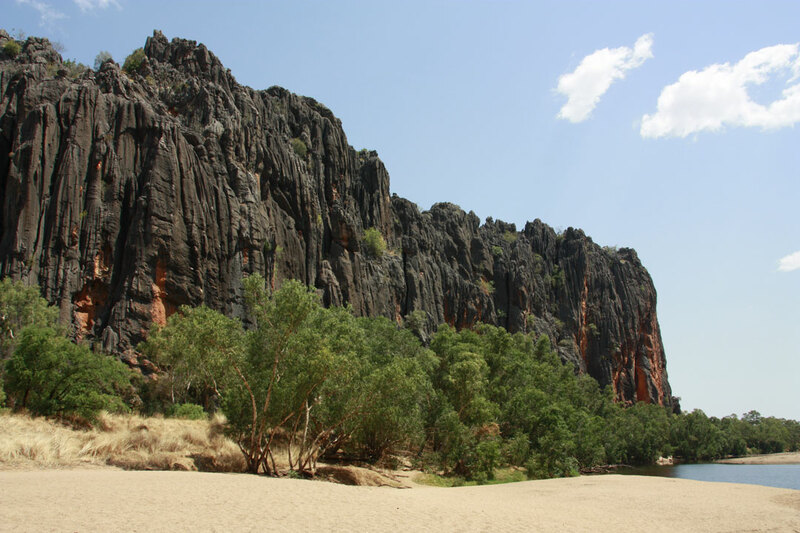 Camping grounds in this area are found in Windjana Gorge National Park and include all facilities and amenities. 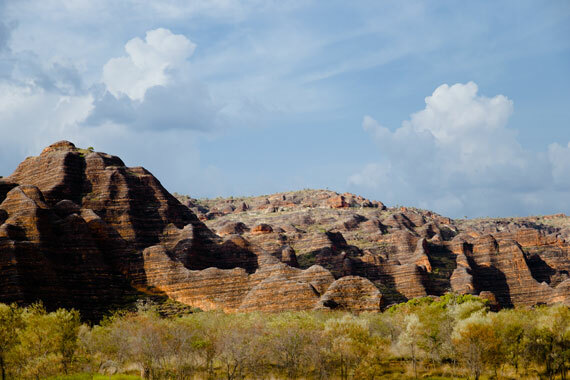 Bell Gorge is your next stop as you head deeper into the Kimberley Highlands. Bell Gorge is considered on of the top attractions of the regions with amazing views, natural swimming pools and a 100 metre waterfall that commands the backdrop of the landscape for miles around. 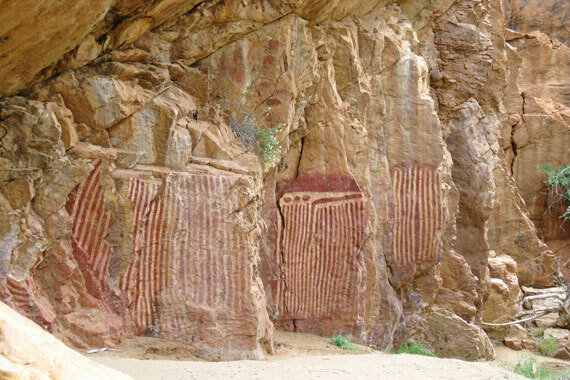 A short trip further down the trail will lead visitors to Manning Gorge where you can explore more local waterfalls and Aboriginal rock art hidden away among the formations, coating the area in a shroud of ancient mystery. Camp overnight at Manning Gorge. Further down the trail from Manning Gorge you will encounter the Gibb River crossing which will lead you to your next destination – Drysdale River Station. The station itself is a great location to relax and take in some outdoor recreational activities. Rainforests and open woodland are waiting to be explored and fishing is a popular pastime on the nearby riverbanks. From here you have access to the entirety of the Mitchell River National Park which includes sights such as Mitchell Falls, access to the Kimberley coastline and the staggering Mitchell Plateau. A little further down the Gibb River road is Home Valley Station which is the start of the Cockburn Ranges and some of the most breathtaking scapes in the southern hemisphere. 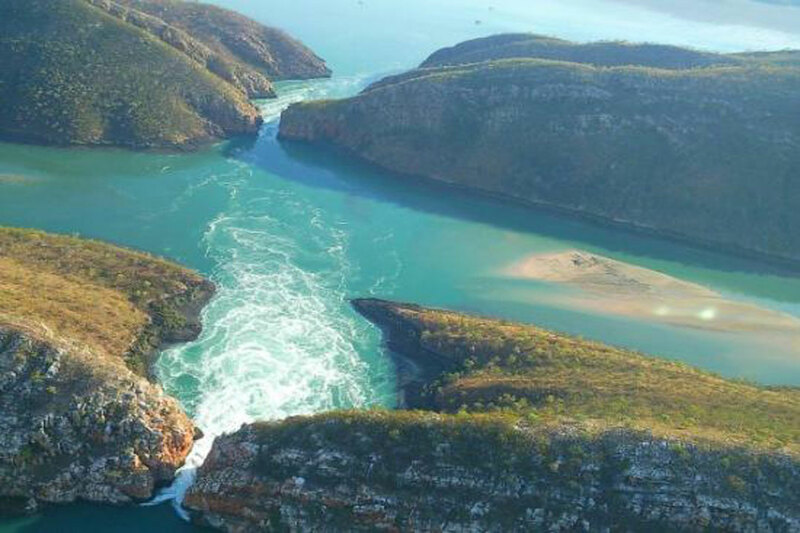 These ranges are famous for their ancient gorges, pools and top barramundi fishing locations. Horse riding tours and fly overs are available to take in a more authentic experience of life in and around this region. Camping grounds are available in this area with all facilities and amenities. 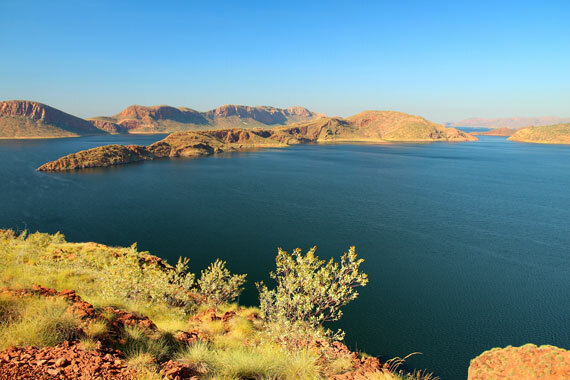 Your final leg along the Gibb River Road ends in Kununurra, the hub of the east Kimberly and the place you can visit two of the most incredible sights of the region, Lake Argyle and The Bungle Bungle Range. These marvels are best seen by air to take in the sheer size and scope of their features, but they are easily accessible by land as well and are well worth the time it takes to explore the scenery. 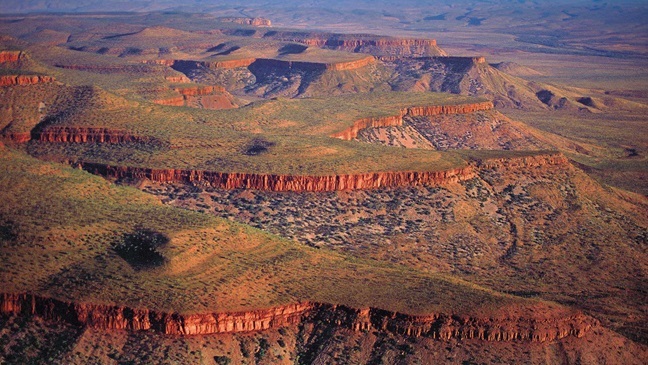 The sights are a part of the World Heritage listed Purnululu National Park. There are a number of Aboriginal art galleries in the region as well as local sandalwood crafters and jewelers to explore which make for the perfect momento or souvenir from your Gibb River Adventure. Remember to respect nature and be aware of yourself and the environment when travelling in Australia. For more itineraries or travel ideas visit our camping tips page here. Why not get a quote on a Gibb River Road Experience today?